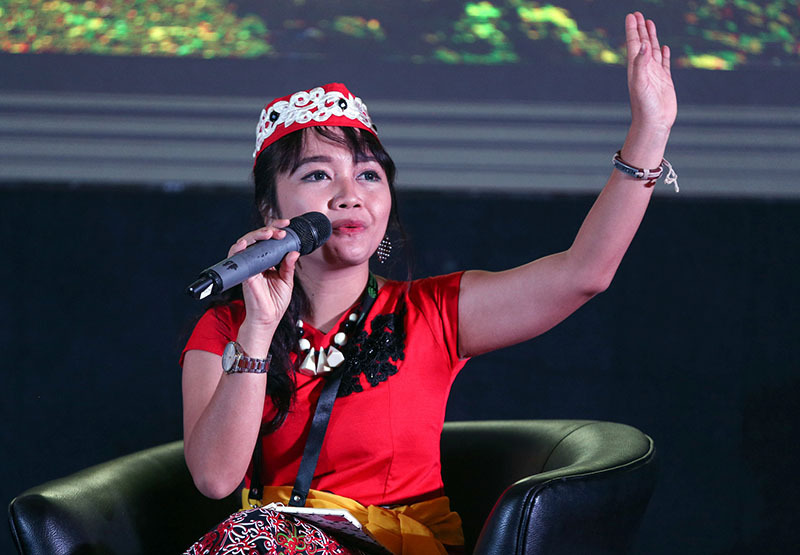 Jakarta (Indonesia) 18 May 2017 – Communities from peatland regions around Indonesia today joined a global forum in Jakarta on solving the problems they are facing, and to share experiences for those facing similar problems around the world. Local communities were at the center of discussions among policy makers, scientists, business leaders, civil society representatives and others at the Global Landscapes Forum: Peatlands Matter event, led by the Center for International Forestry Research (CIFOR), together with Global Landscapes Forum (GLF) partners the World Bank and UN Environment. Stakeholders from other tropical countries, including the Republic of Congo and Peru, also gave their perspectives, putting peatlands into global focus. CIFOR’s Director General Peter Holmgren announced that communities would be at the core of activities for the Global Landscapes Forum as it enters a new phase, connecting the Sustainable Development Goals and the global climate agenda under the Paris Agreement. Via video address, UN Environment Director Erik Solheim commended the work being done on peatlands by the Indonesian Government. “The Government of Indonesia is making efforts to restore water back into the ground and reforest peatland areas. These efforts are part of a commitment from President Joko Widodo to restore 2 million hectares of peatland by 2020 — a great goal. We need more efforts to restore and protect peatlands,” he said. CIFOR has been leading global research on peatlands for more than 20 years. Peatlands support local livelihoods, are home to diverse and endangered species, and are vital sources of clean air, water and other ecosystem services. They are also the world’s largest carbon sinks. But these landscapes are at a critical juncture. Draining, burning and conversion of peatlands for agriculture and other purposes are causing severe degradation, threatening the survival of communities, economies and the environment. The convergence of development and climate challenges in these landscapes makes finding sustainable solutions for peatlands one of the greatest development challenges of our time. CIFOR advances human well-being, equity and environmental integrity by conducting innovative research, developing partners’ capacity and actively engaging in dialogue with all stakeholders to inform policies and practices that affect forests and people. CIFOR is a CGIAR Research Center, and leads the CGIAR Research Program on Forests, Trees and Agroforestry (FTA). Our headquarters are in Bogor, Indonesia, with offices in Nairobi, Kenya; Yaoundé, Cameroon; and Lima, Peru. With support from the Government of Germany, the Global Landscapes Forum has become the world’s largest platform on integrated land use and contributes to the achievement of the Paris Climate Agreement and the Sustainable Development Goals through the widespread application of the landscape approach. Founded by CIFOR, the World Bank and UN Environment, the GLF convenes stakeholders from all sectors to identify priority areas and best practices and accelerate action on the ground. The Global Landscapes Forum unites people and spurs local action towards sustainable landscapes. Through our knowledge hub, learning lab, collaborative platforms and events, we connect and engage people, communities, organizations, and governments in generating knowledge, providing learning opportunities and producing action towards the achievement of the Sustainable Development Goals.